I got tagged by Steve. See his blog for the rules. In turn I'll tag Lucy, Phil, Lizzie & Vicky - all literary genii (?) in their own way. Sorry my blogging friends are so depleted that I cannot drag a fifth into it. 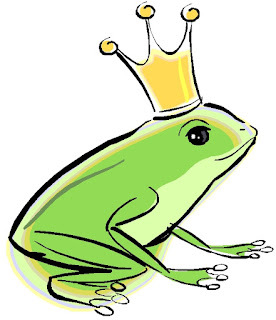 "What the frog said came to pass, and the queen gave birth to a girl; she was so beautiful that in his joy the king didn't know what to do and arranged a great feast. He invited not only his relatives, friends and acquaintances, but also the wise women, that they might be gracious and well-disposed toward the child. There were thirteen of them in his kingdom, but because he only had twelve gold plates from which they might eat, one of them had to stay at home." 1. My husband has laughed heartily at the sight of his wife attempting to put t-shirts on after getting typhoid, tetanus, polio, hepatitus and diptheria injections all in one go. 2. Rowan Williams has been treated crappily by the media, again. In my most melodramatic moments, I see parallels between this and Christ before the crowds shouting 'crucify'. In any case, it's all rather horrible. 3. 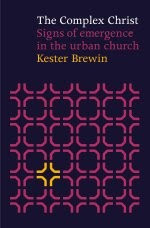 I have been excited to read this book by Kester Brewin. It says new things in a courageous fashion and, while I balk at some of it, is an honest engagement with church culture by somebody who cares deeply for it while willing it to change.